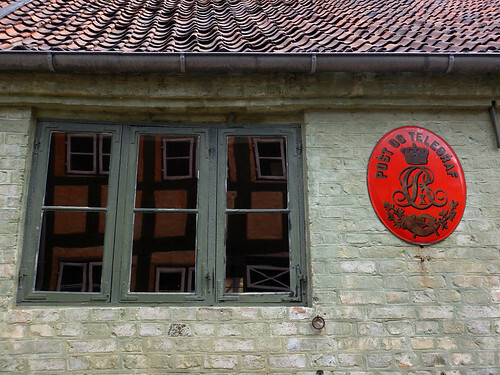 In Denmark there are several recreated villages like Den Gamle By in Aarhus. 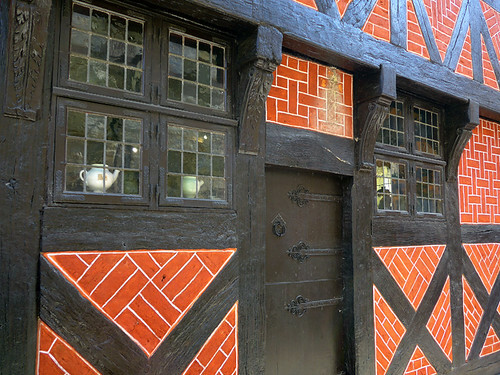 The houses and businesses are painstakingly reconstructed and painted with historical paints of the time period that they came from. Some examples of historical colours from the 1800s. It starts at the left with artificial Ultramarine, and then goes onto the earth colours which have been used for pigments since the cavemen first started painting their caves: Green Earth, Yellow Ochre, Red Ochre, Burnt Umber and Vine Black. 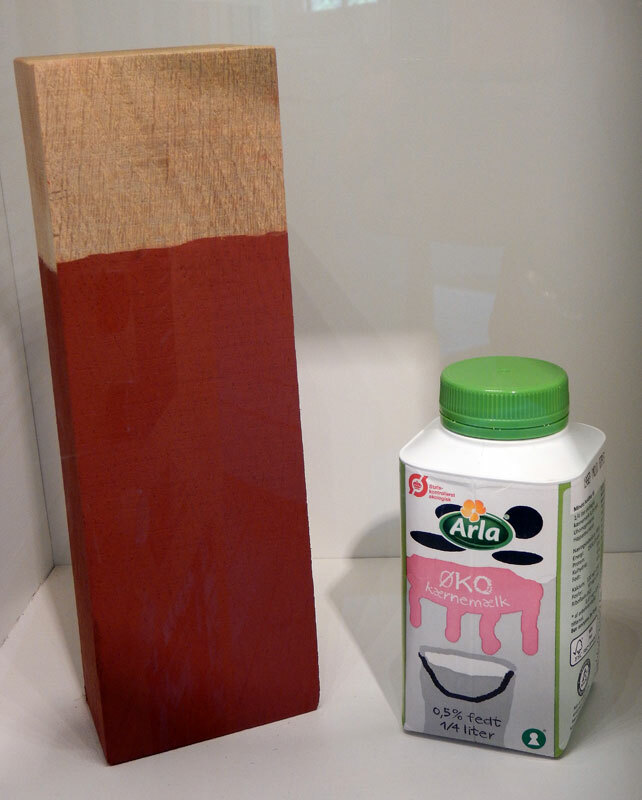 Each of the pigments has two swatches, the left being ‘Distemper’, where the pigment was mixed with chalk and casein or animal glue, and the right being the darker pigment and Linseed Oil mix. 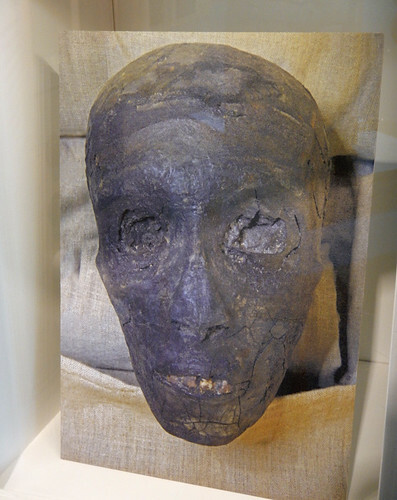 Blood from oxen and casein from milk are two proteins that were often used as binders for coloured pigments in the early days. 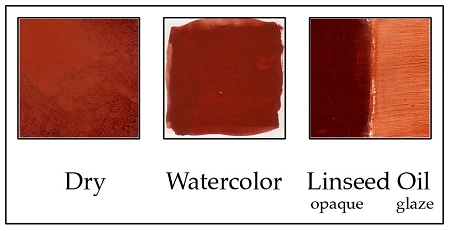 Ox Blood was used to achieve rich dark reds. 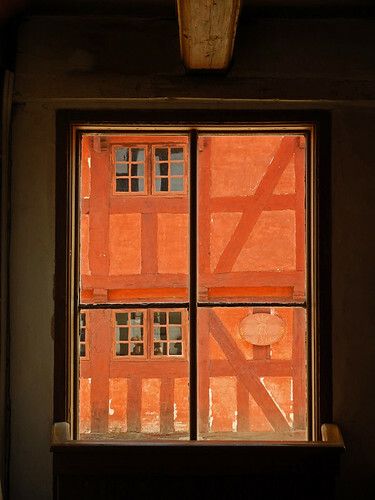 A window looking out on an old half-timbered building. The bricks were often covered with a very thin layer of mud and then painted with Burnt Sienna, also called Red Ochre or Red Earth. 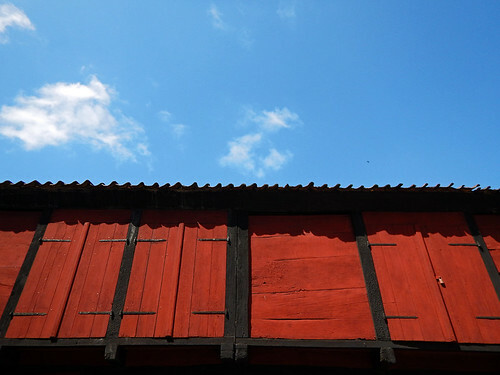 By far, these two reds were the most popular colours to paint the buildings in the 1864 section of the village. But this Post Office with a red Telegraf sign from 1927 was painted in Green Earth. I had to go to Copenhagen to get good examples of yellow ochres. I suppose that in those days everyone used the most common earth colours found in the region. 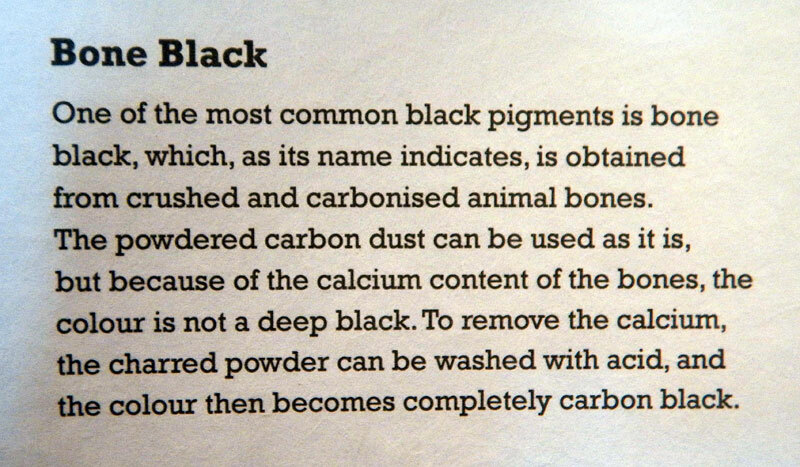 Bone Black came from burnt bones. None of the buildings were painted black although some of the half-timbered houses had the timbers highlighted in black. 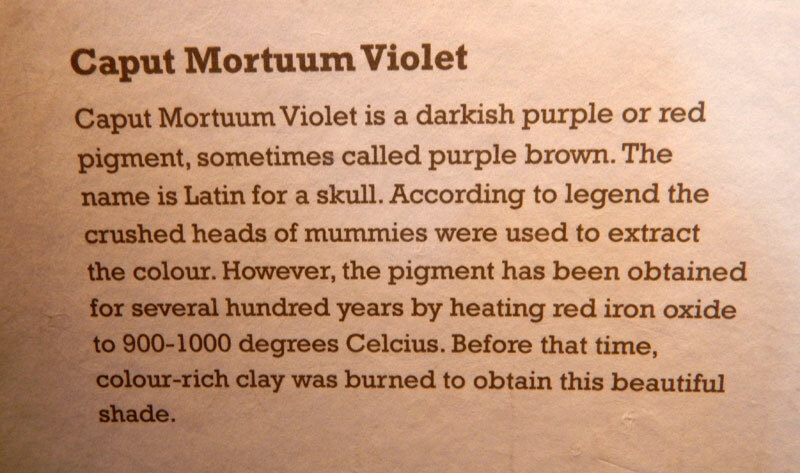 Now here’s a colour I didn’t find on any buildings, a morbid mauve called Caput Mortuum Violet, a purple-brown pigment made from the crushed skulls of mummies. Very interesting! 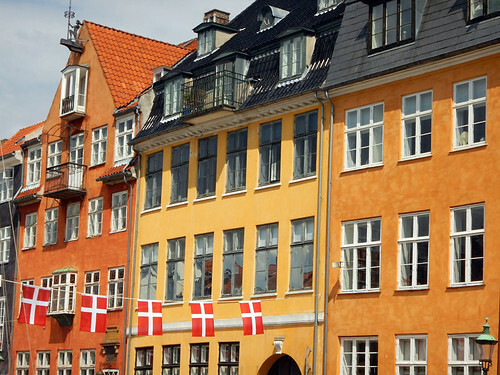 Colour history – and I so recognize the colours of Copenhagen and Denmark! Earlier in the same year I went to Mexico and I was surprised that the colours in Copenhagen were so much like the colours in Mexico, especially the rich oranges and yellows! Wow – interesting! I will discuss it with my husband, who went to Mexico last year – never knew about the similarities! 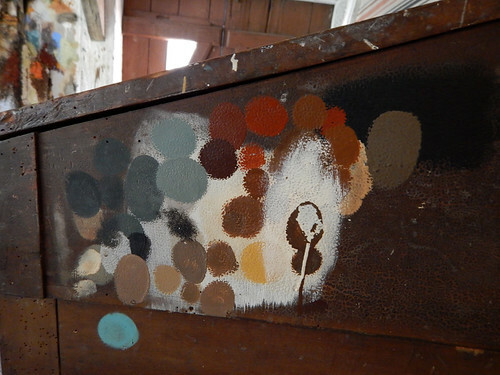 I love this history of paint colors. I was surprised at first at the vibrant colors, but I really like them. I think we forget that history can be vibrant too and it isn’t just in black and white!! That’s so true, all the historical photos are in black and white or sepia and the history sometimes seems that way too.